Congratulations on making the commitment to compete in an Ironman event. Training for and competing in an event of this distance will likely teach you things about yourself (and your perceived limitations) that you never knew. It’s a huge commitment and one that will take self discipline and sacrifice but in the end, crossing the finish line will be an emotional and exciting experience that little in life can match! This brief paper is to give you a primer to the training that you’ll be engaged in and it will present some things that you may want to do between now and the initiation of your training plan. While many issues will be addressed within the context of your training plan, hopefully those issues addressed here will help you prepare for that training. Nothing of significant magnitude can be accomplished without initially making a commitment. Commitment is you giving your word to yourself that you will endeavor on a journey and that you will complete that journey no matter what! There’s an expression “Obstacles are things a person sees when he takes his eyes off his goal.” Overcome the obstacles and continually move toward your goal. As a coach, my experience has been that people from all kinds of background and lifestyle train for and compete successfully in Ironman distance events. While I emphasize the magnitude of your commitment, it is not overwhelming. What is required is persistence and continuity in your training. We will not be asking you to train for 30 hours per week (unless for some reason you have that much time available). You will generally train between 1 ½ to 2 hours per day during the week and between 4 and 8 hours per day on the weekends (during the longest of your training weeks). It’s important that you commit to sticking with the schedule, even during those times when there are so many excuses not to. The exception to this, of course, is health and welfare related and that’s a subject to be covered separately. Set yourself a goal. If this is your first Iron Distance event, your goal may be to finish within the 17 hours allotted. Or you may set a goal based upon a breakdown of each discipline (e.g. swim in less than 90 minutes, ride in less than 7 hours, run in less than 5 hours). If you’ve competed in Iron distance events in the past, you may be looking for a personal best. Whatever your situation, set a goal. Write it down and keep copies in several places (like in your training log, in your calendar, at your desk at work, on the rear view mirror of your car). That may sound “over the top” to some, but trust that this is an undertaking that is as much psychological as it is physical. The more you can keep your eye on the goal, the less you will see obstacles! Bike: Do you currently have a bike that is appropriate for Ironman? You’re going to be spending a lot of time on your bike both in training and during your race. Your bike should be the right tool to do the job. If you’re not sure, contact me or your bike shop and ask the question. If you don’t have a favorite bike shop, I recommend our Friend of Team in Training shop, Ridgewood Cycle. Let them know that you’re part of Team in Training and they’ll be sure to take very good care of you (and give you a discount). There are two primary types of bikes to consider: a road bike or a time trial (or triathlon) bike. Each has a different kind of geometry and there are advantages and disadvantages to each, depending on the type of riding you’re going to be doing. There are different materials that bikes are made from (Titanium, Carbon Fiber, Aluminum, Steel, combination Titanium/Carbon, etc.). Spend some time shopping and asking questions before making a purchase if getting a new bike is in your future. Indoor Trainer: You’ll need to ride a significant amount of time during the “cold weather months” and much of this time is going to be inside. I highly recommend that you spend your indoor training time on the bike that you’ll be riding on for your race and not on a spin bike or other similar indoor trainer system. Depending on your budget, indoor trainers can cost as little as about $300 for a Cyclops fluid trainer to over $1,500 for a Computrainer 3D Pro. If you need a trainer, make sure you have one prior to the beginning of your training program. Heart Rate Monitor/Power Meter: “If you can’t measure it, you can’t manage it”. It is important to monitor the progress of your training as we go. We’ll use heart rate as our primary unit of measurement, however, if you have a power meter, we’ll use power as well. You will need at least a heart rate monitor and one that can upload its data to Training Peaks (most newer models have this ability, or look for devices that are ANT+ compatible if you’re shopping. Miscellaneous Bike Equipment and Supplies: You need a good helmet that meets USAT safety standards, a good fitting pair of cycling shoes (cleated shoes are highly recommended) as well as a variety of “expendable” supplies (tires, tubes, CO2 cartridges, CO2 adapter, tire levers, cycling gloves, etc.). With the exception of a good helmet and shoes, these are not expensive items, but you’ll go through some of them during your training. Swim Equipment: There are scores of swimming devices and tools available in the marketplace. As a coach, I don’t think that any of them are necessary for you to swim well. In fact, I believe that the use of some (such as swim paddles, kick floats and pull buoys) are counterproductive because they promote the reliance on them as opposed to good swim mechanics. A good pair of swim goggles, swim cap and swim suit is about all that’s necessary and these are also “expendable”, so you’ll go through a few of each during the season. It’s amazing what Chlorine pool water can do to a swim suit after 20 or so swim workouts! Running Equipment: Running is similar to swimming in that there’s not much equipment that you need, but what you do need is very important to your safety and injury prevention. A good pair of running shoes (replaced after every 300 miles or so) is critical. Go to a quality running store and have your gait analyzed and your foot properly measured. Do you have a high arch, low arch or neutral? Is your foot wide, narrow or medium width? Do you pronate or supinate to a level that needs correction in your shoes. You can get away with an “ordinary” pair of running shoes for running 10k races, but to train for an Ironman and to put in the mileage that you’ll be doing in training, you need the right shoes. Clothing: Much of your training will be done during the winter months. Be sure to have warm, comfortable clothing to wear. Layering is a far better approach to dealing with cold weather than putting on a single heavy layer. The new technical fabrics that are available are amazing at keeping you dry and comfortable while running or cycling in cold, damp weather. Check to see that you have the right clothing for winter training (including caps, gloves, base layers, outer layers that are waterproof and wind resistant and good socks). Weeks 1-4: Preparatory Phase: Getting the body ready for more rigorous training that’s coming. Getting used to following a routine in your training. Sometimes referred to as “training to train phase”. Weeks 5-8: Base I: Initial weeks of building foundation. We’ll be working on increasing your endurance base during the next few phases of training and this is the initial four weeks that will have a very small amount of “interval work”, but primarily your effort will be at low intensity. Weeks 9-12: Base II: Continues Base I training but adds a bit of higher intensity work. Intervals are designed to increase your ability to maintain pace at a higher heart rate. Weeks 13-16: Base III: The next phase of base building adds a different type of interval (high intensity) work that helps train your fast twitch muscle fiber (sprinting/anaerobic fiber) to act like slow twitch muscle fiber (long distance/aerobic fiber). Weeks 17-20: Build I: At this point, your aerobic base is established. We’ll start working on increasing pace and power. Weeks 21- 24: Build II: Newer interval work is introduced to continue our efforts to increase pace and power. Weeks 25-28: Build III: The final touches on pace and power. Interval work is pretty race specific at this point. Weeks 29-32: Base III: Returning to Base type training, we’ll be working on intervals that are very race specific and in line with your strategy for race day. Weeks 33-35: Peak: Some people refer to these weeks as the “taper”, however many coaches (myself included) resist using that terminology because it tends to be interpreted incorrectly. There is still important work to do, but at a reduced volume. Your hours of training per week will be reduced in each of these weeks, but the intensity of your intervals will increase. Week 36: Race Week: Rest, final preparations, workouts that are very short in duration, but which have some intensity to them. Everyone following this training plan will have an account set up for them on Training Peaks. Your daily workouts will be emailed to you and you will be asked to log onto Training Peaks after each day’s training to record information into your log. You’ll upload information from your heart rate monitor or power meter, you’ll make general comments about how you’re feeling and you’ll record some metrics such as hours of sleep, level of stress, resting heart rate, etc. If you’ve been racing all summer: I highly recommend that between now and your initial training phase that you take some “unstructured” time. You need to stay in shape and it would be good to do that by participating in some sports other than swimming, cycling and running. Don’t follow a “structure” during this time if you’ve been following one for the season that’s now coming to an end. If you have not been training regularly: The most important thing is to get started with some very easy training. Swimming for most people is the most intimidating part of Triathlon. Try to swim at least twice per week, even if it means doing less running or cycling right now (we’ll adjust the balance later). Ride your bike when you can at an easy pace. Run a bit. Ideally, try to fit in each of these activities twice per week, but don’t worry if you can’t. The more important key is that you stay within your limits and not try to do too much too soon. Warm up: Always do a warm up of at least 10 minutes before strength training. This might include running on a treadmill or elliptical trainer or riding on a spin bike. Light weights/High reps:For the first few weeks of strength training, keep the resistance (weight) level low. You should be able to lift the weight at least 15 times without fatiguing. Try doing 3 sets of each exercise with 12-15 reps per set. Rest for about one minute between sets. As you get adjusted to strength training (and as long as you don’t have a lot of residual soreness on the day following training) increase the number of reps to 15-20. Large Muscles First: Do exercises that involve your big muscle groups first, before exercising smaller muscle groups. As a guide, any exercise that has you bend more than one joint will involve the larger muscle groups. An example is the chest press, where you are moving the elbow and shoulder joints during the exercise. The biceps curl, on the other hand, only moves the elbow joint. The smaller muscles fatigue more quickly but they support your larger muscles during exercises like the chest press, so they can easily get fatigued. If you exercise the smaller muscles first, they will be too fatigued to support the larger muscles when needed. Stay within your limits: It almost goes without saying that to lift a lighter weight than you’re capable of is far better than to start with a weight that’s too heavy. If you start really light and have no muscle soreness over the following two days, then you can increase resistance slightly. Working with a weight that’s too heavy will feel fine to you on your first workout, but on the second day following training you’ll not be able to get back to the gym again due to the soreness. Plus, you are risking injury by doing so! Core is most important: Swimming, cycling and running require good core strength. Certainly strong arms and legs are also important, but core is paramount to being efficient in these three disciplines. A strong core stabilizes the upper body when running. In cycling a strong core is important to supporting your upper body’s contribution to riding, especially up hills or when sprinting when you are pulling on your handlebars. In swimming, your core supports a good connection between the work of your upper body and lower body and especially around your hips where your “roll” from one side to the other is generated! When strength training, always include some core stability exercises. These are exercises that (in addition to traditional abdominal crunches) can be done using stability balls, medicine balls and so forth. Functional Strength Training: Many facilities offer functional strength training programs. These programs in my opinion, are the most valuable of all strength training routines. As Triathletes, most of our movement will be in the sagital (forward/backward) plane and so we develop muscular imbalances from a lack of movement in the other two planes (frontal and transverse). Functional strength training has you move in all three planes as you work on strength training and therefore it supports the development of the small muscles in the core that connect with the larger primary muscle groups. I highly recommend that you find a functional strength training program in your area and participate in it for at least two sessions per week during this “pre- training” period. You’ll notice a big difference in your fitness and you’ll also be much more resistant to injury down the road! Training for an Ironman Race and competing in one is something that will challenge you on every level, however, it’s also a hugely satisfying experience. For me personally, in the year that I trained for my first of 11 Ironman races, my company grew by a record setting pace and it continued to grow for several years afterwards. It didn’t take long to figure out that the structure that Ironman training requires is transferrable to every other area of your life. You find ways to get more done in less time so that you can keep your commitments. I hope you all find the same level of satisfaction in this program as I have and always bear in mind the greater cause that we are all ultimately serving: The possibility of living in a world that’s cancer-free! Warm up: 4 x 25 yards (pool length = 25 yards). Take 15 seconds rest between each (4 x 25 on 15” rest). Drills for Technique: 4 x 25 with 15 seconds rest between each (4 x 25 on 15” rest)- Lie on your side with the lower arm extended over your head and the upper arm at your thigh. Look down toward the bottom of the pool, rotating your head to the front of your body to breathe. Kick easily on your side to the other end of the pool. Do not work your legs hard. Focus on keeping your hips and feet near the surface of the water as you kick. Two keys to doing this: 1. Keep your lungs filled with fresh air (O2) and 2) press slightly down on torso (sensation of swimming downhill) to raise hips. Main Set: 6 x 50 (down and back) on 15 seconds rest- Swim easily and relaxed. Speed is not important. Smoothness is important! Focus on being “flat” in the water with hips and feet at the surface, head in a neutral position (neck not craned back, forward or sideways). Cool Down: Relax for 4 x 25, swimming any stroke at an easy pace. Progressing: As this swim becomes easy (or if too easy on the first day), increase the warm up to 4 x 50 yards, the drills to 4 x 50 yards and the main set to 6 x 100 yards. Next, progress to increasing the main set to 8 x 100 and 10 x 100. Stay focused on keeping your hips and feet near the surface of the water for all of these swims. This is one of the primary limiters to swimming efficiently. Try to swim at least twice per week! Ride for the pleasure of riding. Take advantage of any good weather we have between now and December 3rd and ride at an easy to moderate pace for a duration that is comfortable to you. Increase that duration gradually, but do not exceed an increase by more than 10% per week. Cycle once or twice per week. Running is an activity that you can do all year outside. It’s rare, even in the NY Metropolitan Area that the weather is such that we can’t run outside. If you’ve not been running for awhile, run for a short distance (or until you are winded to where you can’t hold a conversation). Walk to recover and then run a bit more. Don’t go further than you are initially comfortable with and err on the conservative side. It’s much easier to increase your distance for your next run than to recover from over-doing your first run! Steady pace is the key right now. Try to get in at least two runs per week. Keep a log of how long you ran for on each day you run and if you’re monitoring your heart rate, your average heart rate for the run. Warm up: Swim 6 x 50 yards (6 x 50 on 15” rest) descending in sets of three (i.e. swim first 50 slow, second 50 moderate and third 50 faster. Then start over again with the fourth- slow, moderate, faster). 15 seconds rest. Drills for Technique: 6 x 50 on 15” rest as follows: Swim each 50 focusing on keeping the head “neutral” (neck not craning back, forward or sideways) and looking down at the bottom of the pool. The water should be hitting on top of your head, not on your forehead. Keep your hips and feet at the surface of the water. Micro-adjust as necessary by pushing slightly down on the torso to give the sensation of swimming downhill. Do this only as necessary to have the hips and feet at the surface. Main Set: 6 x 100 as slow, medium fast, slow, medium, fast. 15 seconds rest. Be aware of where your hips and feet are! Fast does not mean all-out. Just swim at a quick pace at which you can maintain your proper body position and mechanics. Cool Down: 6 x 50 on 15” rest- Kick easily on your side. Lower arm extended over your head. Upper arm at your thigh. Hips and feet at the surface. Warm up: 3 x 100 on 20” rest. Build pace within each 100 (i.e. start each 100 slowly and get a bit faster after each length). Drills for Technique: Repeat drills from day one! Main Set: 3 x 200 continuous on 30” rest. Cool Down: 6 x 50 on 15” rest. Slow and easy. Odds are non-freestyle (i.e. back, fly or breast only). Warm up: 6 x 100 on 20” rest. Get faster within each 100. Drill Set: 2 x 150 Single Arm Drills on 20” rest- Lower (non-active) arm extended out in front over your head. Swim 50 yards left arm only, 25 yards swim (both arms) 50 yards right arm only, 25 yards swim. Insure that you’re flat in the water (hips and feet near surface!) and that you’re rolling equally to both sides (not just to your breathing side). Cool Down: 6 x 50 on 20” rest. Slow and easy! Warm up: 12 x 50 as: 1st three send off at 1:20, 2nd 3 send off at 1:15, 3rd 3 send off at 1:10, 4th 3 send off at 1:05. Drill Set: 2 x 150 Fists! On 20” rest. Swim 50 with hands closed in fists. Maintain a high elbow to get propulsion! 25 yards swim (open hand), 50 hands in fists, 25 open hand. Rest only 20” on each 150. Main Set: 3 x 300 descending within each 300 (i.e. start slow and get faster within each 300). Cool Down: 6 x 50 easy/relaxed! Main Set: 5 x 400 at strong but steady pace. Time your 400’s The last should be within a second or two of the first. Weekdays- Assumed on trainer due to shortened daylight hours. Warm up: 15 minutes at easy pace to start out. Include 4 x 30” of fast spinning with 1:30 recovery between each. Drill Set: Single Leg Drills. 10 x 30” with one leg pedaling, the other on a chair or on back of the trainer. 30” transition to the other leg. Once set includes both legs having pedaled for a 30” period. Main Set: 30 minutes- Spin at a moderate pace (moderate resistance). Heart rate should be at zone 3 or at a level where you can maintain a conversation in full sentences. Cadence should be on the high side. 85-95 RPM. Cool Down: Spin easily in small chain ring for 5 minutes. Weekends-Assumed that weather is conducive to an outdoor ride. Ride for about 1:30- 2:00 at a moderate pace over rolling terrain. Be sure to include some moderate hills of a fairly long duration (3 minutes or more). Cool down with some easy spinning for the last 10 minutes. Bonus Points: change quickly into your running shoes and run for 15 minutes as quickly after getting off the bike as possible. Weekday Runs- Run at a steady pace for about 45 minutes. Stay in zone 3 (conversational pace) except for the following: include some fartlek intervals in the middle (i.e. pick up the pace to a quick tempo for the distance of two telephone poles- or 45” if running on a treadmill. Recover for two telephone poles (or 45”). Weekend Runs- Long slow distance. Stay in zone 1 and 2 (very easy pace) and run for about 1:15-1:25. Be sure to warm up well early in your run! Moderate Effort. Noticeable increase in breathing. Used for endurance building and active recovery. LT Zone (bottom of Va). For LT Training. Maximum effort. Extremely short efforts. Neuromuscular training. (40-60% 1RM) 4 2-3 3-5 20-30 Mod. 60-90 Sec. Prepares muscles & connective tissue for greater loads. (40-60% 1RM) 4 1-2 2-3 8-15* Fast* 3-5 Min. * Develop capacity to recruit most fibers for a movement and maintain their use at high power output. (30-50% 1RM)* 4-8 1 1-3* 40-60* Mod. * 1-2 Min. * Extend the ability to manage fatigue at high load by increasing capillary density and number and size of mitochondria. 60% (80% last set)* Indefin-ate 1 2-3* 6-12* Mod. * 1-2 Min. * Maintains strength established in previous phases, while hills, intervals and other workouts maintain power and endurance. Do a 10 rep warm up set with light weight. Select a weight you can lift for at least 4 but not more than 10 reps. If you have to “experiment” to find this weight, take at least a five minute recovery between each set. Building a Business that’s Iron- Strong! The first time Ironman® goal might be to finish the race. More experienced athletes might have a personal best time in mind for their finish. Effective business owners are able to clearly state what their vision is. For some it might to create an organization where the company runs without the involvement of the owner in operations. For some it might be to sell the company for a price they have in mind. In both cases, a total commitment to the vision is required for success. Not many people finish an Ironman® who start out by saying they’re going to “try” to finish. In both cases, the vision must light you up. To complete an Ironman®, one first needs to know their strengths and weaknesses so that they can focus their training. They also need to know what opportunities there will be (e.g. to train with a local group of athletes) and what threats might exist that need to be mitigated (e.g. history of knee problems). A business vision can only be achieved when all circumstances are recognized and addressed (i.e., SWOT- What are the strengths and weaknesses of the businesses? What opportunities exist to further the goal? What threats might get in the way?). What are the factors that must exist in order to achieve success? For an athlete contemplating Ironman®, one such factor relates to having the proper equipment (e.g. lightweight, quality bike). A business critical success factor will relate to the specific vision to be achieved. An athlete doesn’t just wake up one morning to start their Ironman® race. There are months spent executing a detailed training plan that builds a substantial endurance base, like building the foundation to a house, block by block. And when the plan is set in place, it includes milestones that must be hit in order to measure progress. In my personal experience as an athlete and coach, I’ve never seen a plan go exactly as planned, so as circumstances change, so must the plan. “If you don’t know where you’re going, any road you take will get you there.” Ever heard that expression? A detailed plan of action (your roadmap) needs to be created around your vision, with the recognition that the plan must have a system of measurement. Bending and flexing to adjust for changes is also necessary to keep moving forward. Taking on an Ironman® requires support from family, friends and business associates. It’s important for an athlete to communicate clearly what their plans will entail, how it might impact them and what support will be important to the accomplishment of the vision. Business owners need to have a similar support structure in place, with a clear understanding of what role each team member will play. Any significant vision or goal will only be accomplished if the role of others is recognized, communicated and supported. In addition, the support structure provided by your TAB board, which holds you accountable for hitting your milestones, is critical to the process! Completing an Ironman® race is an extraordinary accomplishment. What is the “Ironman® Vision” that you have for your business? It should be similarly extraordinary and be empowering enough that the thought of accomplishing it gets you out of bed in the morning. As with an Ironman® Triathlon, you will not get to the finish line without a planning structure that drives you there. Trust me on this. I’m no world class athlete. My 10th Ironman® was completed on November 23, 2008. I was 58 years old. My Children, Adrianna and Anthony (twins) were 22 month old. I operate two businesses. I volunteer substantial time for the Leukemia and Lymphoma Society. Too many balls in the air? Only if there’s no plan in place to keep them from falling! Chuck Graziano is President of Thundering Brook Associates which operates The Alternative Board of the Bergen and Essex County Area, a firm that provides peer advisory board and coaching solutions for business owners. 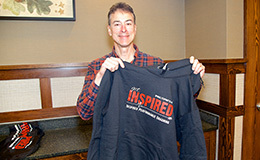 He is also owner of Inspired Performance Coaching, which provides coaching services for endurance athletes. For further information, please contact cgraziano@TABNewJersey.com. Ironman is a registered trademark of World Triathlon Corporation. 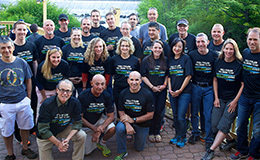 Chuck Graziano was the Head Triathlon Coach for the New Jersey Chapter of Team in Training for 12 years. He is certified by USA Triathlon as a Level II coach and is an Elite Level Training Bible Coach. 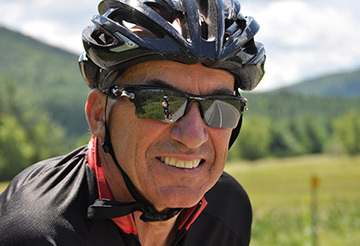 As of the end of September 2014, Chuck has competed in 224 multisports events including 16 Ironman races, several AquaBike races, 2 Age Group World Championships and multiple Age Group National Championships. Chuck can be reached at chuck@ipmultisports.com. To view this article as a PDF, please click here.